Triad Stage is proud to support veterans and active duty military personnel and their families. Triad Stage is proud to support veterans and active duty military personnel and their families through the TCG Blue Star Theatres program. We offer a 20% discount on full price tickets for veterans, active duty military, and their immediate family members to all MainStage performances. Contact our Box Office at (336) 272-0160 and identify yourself as military personnel to receive the discount. 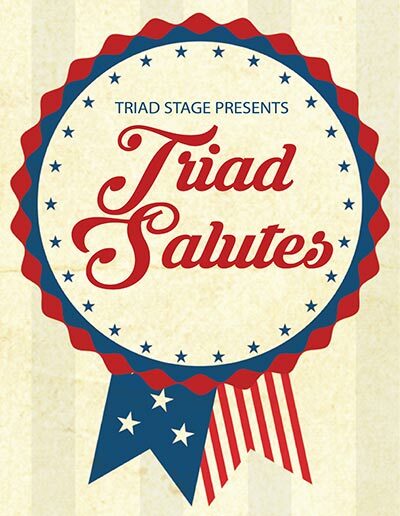 During South Pacific (2017), Triad Stage was proud to honor 21 individuals nominated by our community with a moment of public recognition before the performances for their for their service to our country and our community. We recognize and appreciate the sacrifices and contributions of these honorees, as well as all the other veteran and active duty members of our community.